The lowest mortgage rate is the best, right? 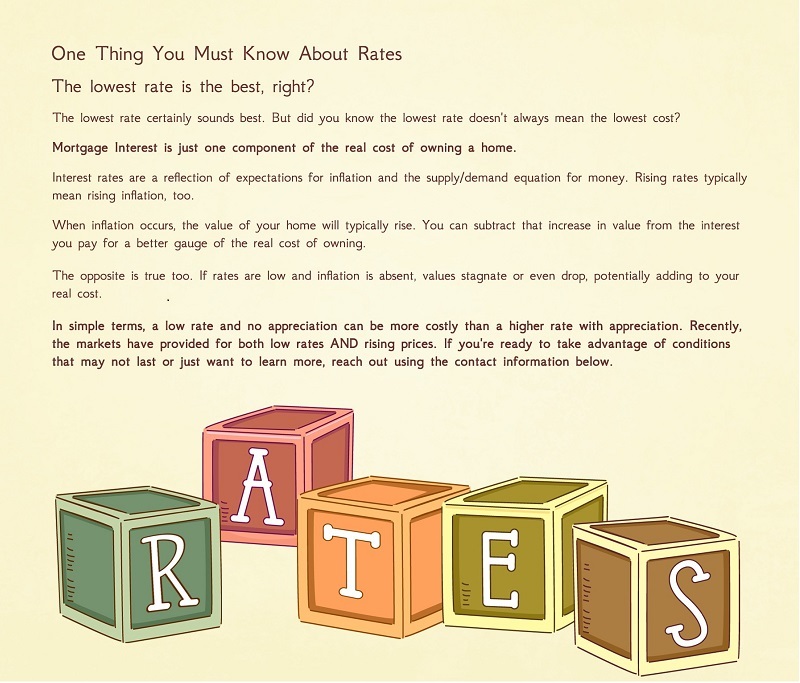 The lowest rate certainly sounds best. But did you know the lowest rate doesn’t always mean the lowest cost? Mortgage interest is just one component of the real cost of owning a home. Interest rates are a reflection of expectations for inflation and the supply/demand equation for money. Rising rates typically mean rising inflation, too. When inflation occurs, the value of your home will typically rise. You can subtract that increase in value from the interest you pay for a better gauge of the real cost of owning. The opposite is true too. If Mortgage rates are low and inflation is absent, values stagnate or even drop, potentially adding to you real cost. 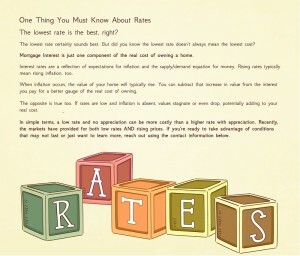 In simple terms, a low rate and no appreciation can be more costly than a higher rate with appreciation. Recently, the markets have provided for both low rates AND rising prices. If you’re ready to take advantage of conditions that may not last or just want to learn more, reach out.